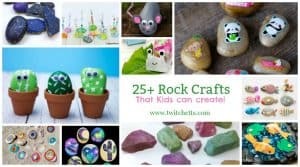 Creating decorated rocks and stumped on how to color rocks? 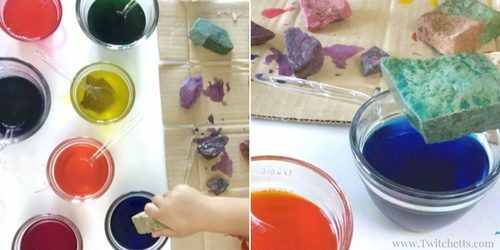 This spin on stone painting for kids is a quick and easy way to add color to your rocks before you paint them. Perfect to give as gifts, go rock hunting, or add to your rock collection. Do you have rock hunting in your area? This huge craze is sweeping across the globe! 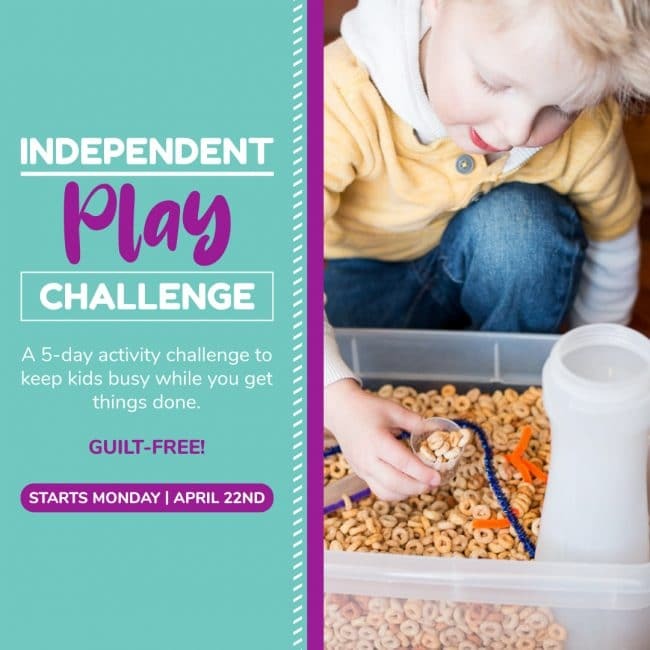 It is a fun way to get creative, get outside, and interact with people in your local community. 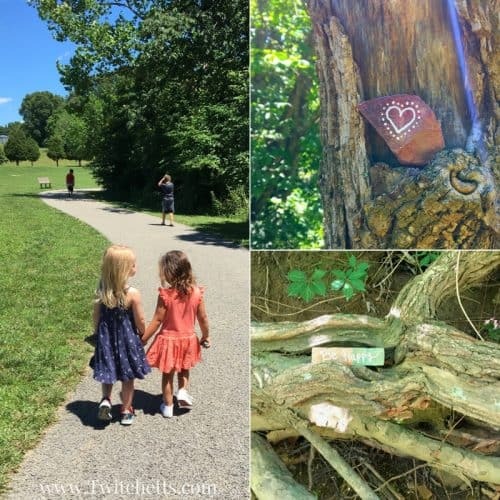 Just a simple search for your city name rocks (_____ rocks) and you may be surprised to find a local page dedicated to this fun, mostly free, activity to do with your little ones. 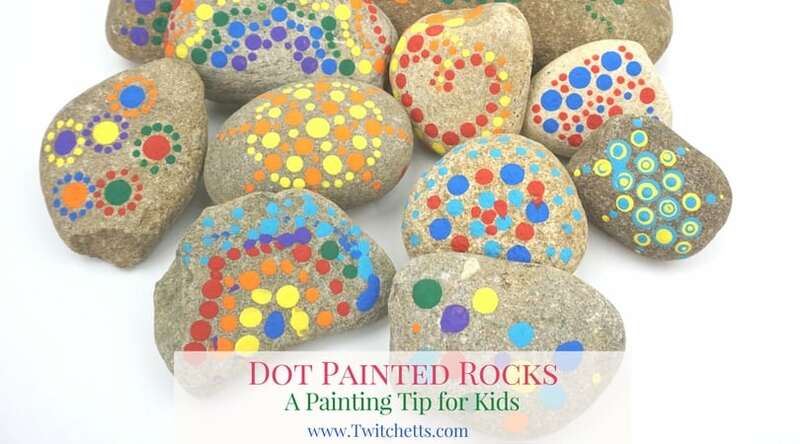 We have been at it awhile and are always looking for new ways to paint our rocks. 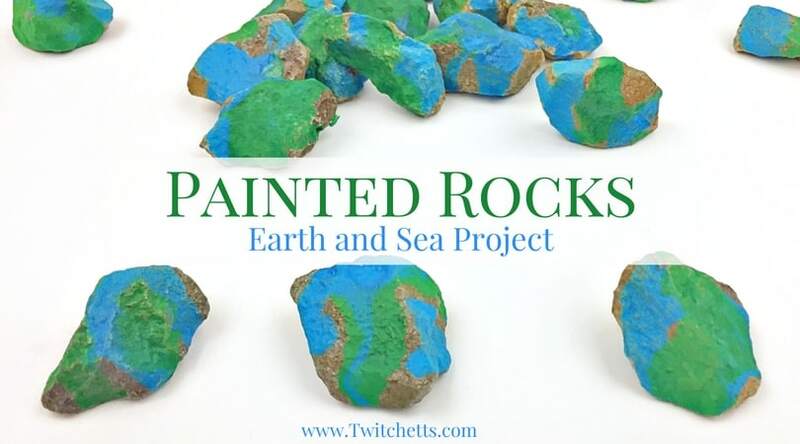 We have earth inspired rocks and rainbow rocks, but we wanted to think way outside the box. 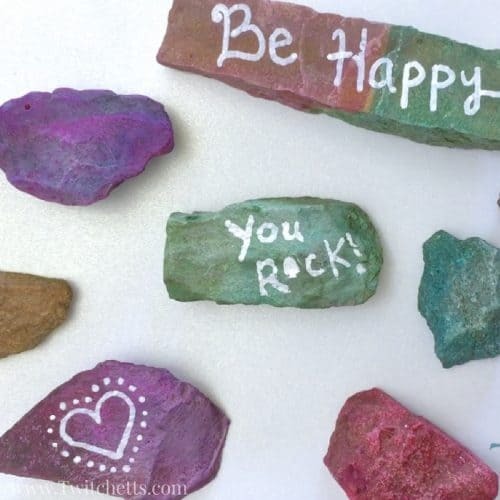 With these dyed decorated rocks, we did! Cups. One per color of dye. Cardboard. Or anything else for drying. 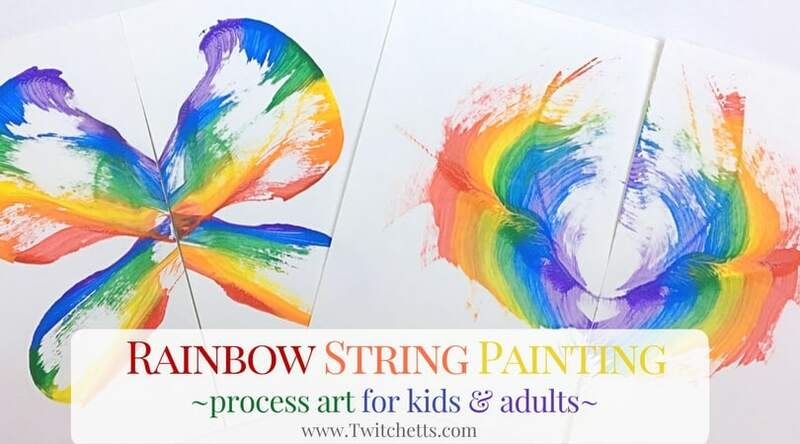 It’s just like making egg dye, except add a bit of extra color to the mix. 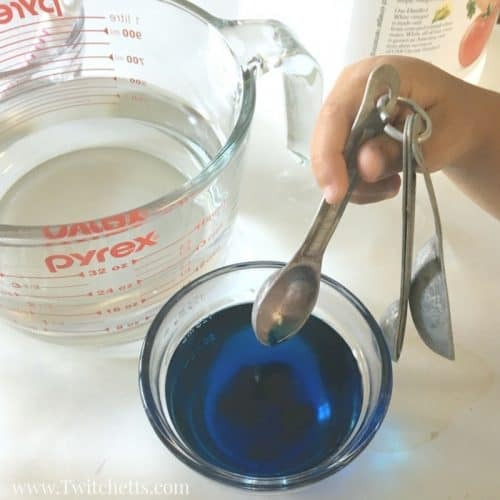 We mixed 1.5 teaspoons of coloring, 1 teaspoon of vinegar, with 1/2 cup warm water. 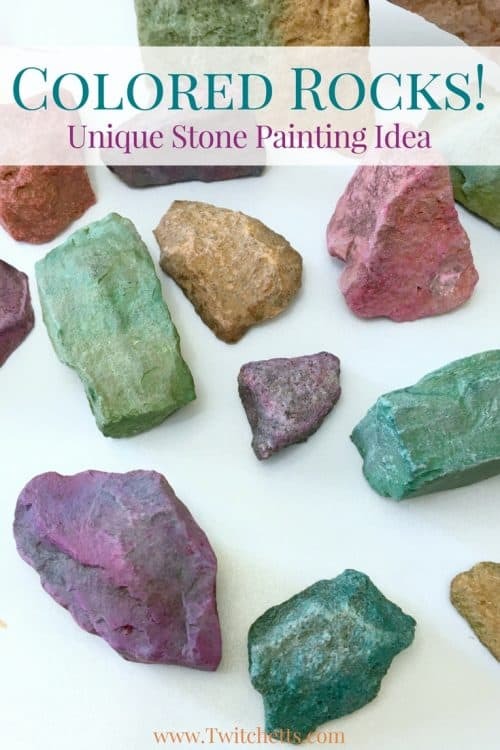 The kind of stones/rocks you have will make a difference in coloring. You want to choose lighter colored rocks that haven’t been polished. Some colors worked better than others. Our favorites were pink and purple. Followed closely by the blue. Yellow didn’t turn out that great. Orange turned more of a peach which was pretty, but not as noticeable. 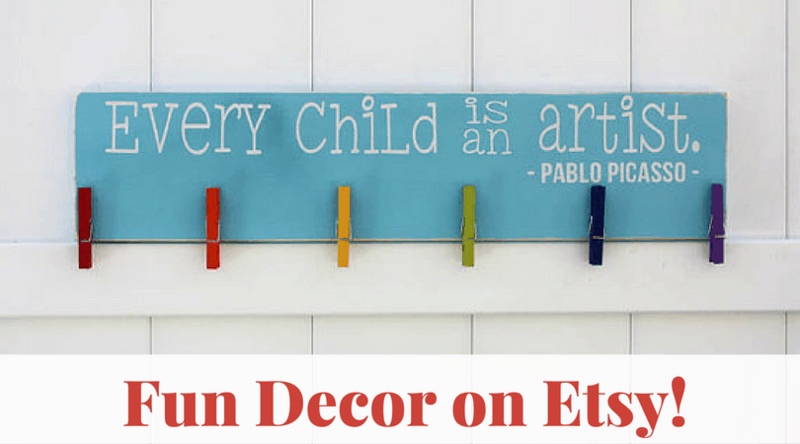 Let your decorated rocks dry completely. 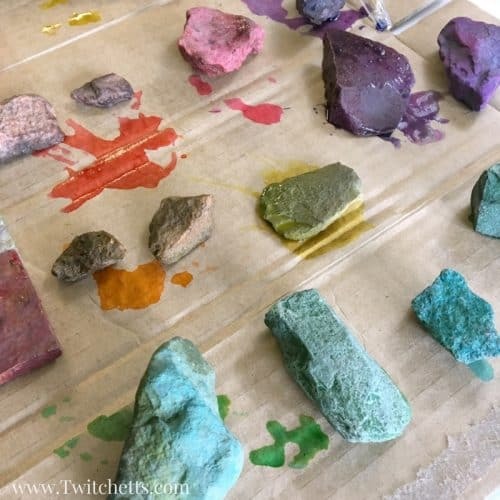 Once the dyed rocks are dry, you can add designs or words. I chose a white paint pen for good contrast. Then head off to hide your decorated rocks! When someone finds your beautiful rock you will make their day. And that’s what it’s all about!